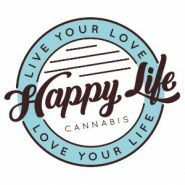 Happiness is a lifestyle and so is cannabis. Whether climbing the Sleeping Bear Sand Dunes, sitting on the front porch of the famous Mackinac Island Grand Hotel, hiking around Tahquamenon Falls State Park, sailing on the waters of the Great Lakes, going to a concert with friends, lounging around the campfire, or simply enjoying in the peace & quiet of your own backyard – your favorite activity and cannabis go hand-in- hand. Now go forth and be HAPPY!